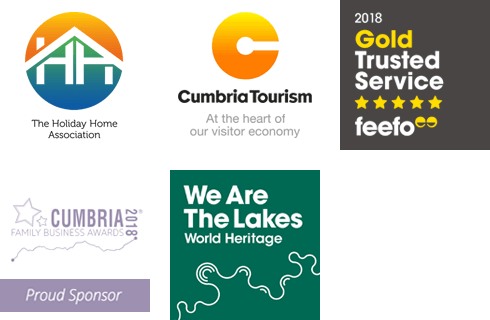 If you need some help deciding what to do when on holiday in the Lake District please feel free to give us a call, as well as talking about Lake District Cottages we love recommending places to go during your stay and would be glad to help. "I fell in love with the Lake District the first time I visited, I moved here with my husband 3 years ago and love living in Grasmere." I love spending time outdoors and enjoy exploring the Lake District with my husband and dog. I can't help stopping to take photos when I'm out as the scenery here is just breathtaking all year round. Every view in the Lake District changes, depending on the season, I never get bored of the beautiful National Park. I need to tick off more of Wainwright's fells and also try more of the amazing food and drink hotspots we are lucky to have in the area. The Lake District isn't just about fell walking and wild swimming, there's a lot of cultural attractions and food producers that are definitely on my to do list as well. Lake or Fell? Fell. Beatrix Potter or William Wordsworth? Beatrix Potter. Kendal Mint Cake or Grasmere Gingerbread? Kendal Mint Cake. Windermere Cruises or Ullswater Steamers? Windermere Cruises. Wrynose Pass or Hardknott Pass? Wrynose Pass. Lakeland Terrier or Patterdale Terrier? Lakeland Terrier. "I am so fortunate and lucky to live and work in the place I would choose to go on holiday to." Having spent so much time camping and walking in the Lake District National Park, 4 years ago I decided to take the plunge and move to the Lake District. Luckily, we found a gorgeous lakeland cottage and we have never looked back. Any free time is now taken up by our daughter who is into everything. She already has 5 of Wainwrights fells under her belt! The one thing I have yet to do and don’t know if I have the nerve for is parascending off The Pike of Stickle, I have watched people do this a few times and hopefully (nerves permitting) will give it a go one day. Lake or Fell? Lake. Beatrix Potter or William Wordsworth? Beatrix Potter. Kendal Mint Cake or Grasmere Gingerbread? Grasmere Gingerbread. Windermere Cruises or Ullswater Steamers? Ullswater Steamers. Wrynose Pass or Hardknott Pass? Hardknott Pass. Lakeland Terrier or Patterdale Terrier? Lakeland Terrier. "Being able to live and work in the heart of the Lake District is great! I know how lucky I am to be given this opportunity." I moved to the Lake District 5 years ago. When the opportunity to work at Good Life Lake District Cottages, visiting the fantastic properties came up I jumped at the chance and I haven’t looked back since. In my free time I try to get out and about as much as possible, whether that’s going up a fell or swimming in a lake you can’t live in a place like this and not enjoy it. If there was one thing I would still like to do in the Lakes it would be to swim the length of Lake Windermere! "I have lived in the Lake District for over 30 years and am proud to have been welcoming visitors to the area for the past 15 years!" I started working at Good Life Lake District Cottages in 2016 and feel lucky to work amongst such spectacular scenery. In my free time I enjoy exploring the Lake District National Park with my son, watching him discover & learn has become my favourite past time although I do appreciate nap times too! Although I have lived in the Lake District all my life there much of this World Heritage Site that I have yet to explore, in the future I would like to climb the Langdale Pikes as I admire them every morning on my way into work. Lake or Fell? Lake. Beatrix Potter or William Wordsworth? Beatrix Potter. Kendal Mint Cake or Grasmere Gingerbread? Kendal Mint Cake. Windermere Cruises or Ullswater Steamers? Ullswater Steamers. Wrynose Pass or Hardknott Pass? Hardknott Pass. Lakeland Terrier or Patterdale Terrier? Patterdale Terrier. "I love the fact that year-round the vistas change with the seasons but are never less beguiling." Across the Lyth Valley towards the Langdales from Scout Scar where you see layers of the Lakeland fells. I grew up in the South Lakes in an area of outstanding natural beauty but left to study and became located in Manchester. The lure of the Lakes never really left me and over the past decade it became increasingly hard to return to the city after weekends here. The plunge was taken four years ago to return full time to the stunning area of my childhood. It is a joy to have this incredible ever-changing landscape on our doorstep and to be able to discover new eateries and watering holes after an enjoyable day tramping the fells. Lake or Fell? Fell. Beatrix Potter or William Wordsworth? William Wordsworth. Kendal Mint Cake or Grasmere Gingerbread? Grasmere Gingerbread. Windermere Cruises or Ullswater Steamers? Ullswater Steamers. Wrynose Pass or Hardknott Pass? Wrynose Pass Lakeland Terrier or Patterdale Terrier? Lakeland Terrier. "I love the ever changing landscape throughout the seasons." I relocated from the city 12 years ago and love working in the Lake District. My leisure time is spent with my children and dogs and we love being outdoors. I also enjoy art. Being surrounded by beautiful scenery means I am never short of subject matter. Lake or Fell? Lake. Beatrix Potter or William Wordsworth? Beatrix Potter. Kendal Mint Cake or Grasmere Gingerbread? Grasmere Gingerbread. Windermere Cruises or Ullswater Steamers? Windermere Cruises. Wrynose Pass or Hardknott Pass? Hardknott Lakeland Terrier or Patterdale Terrier? Lakeland Terrier.